Most of us know artists and songs that we like to listen, so one of the ways that music streaming companies can get us to hop on board their services is through personalized recommendations and song suggestions. Spotify has done a pretty good job of curating music for their users to discover, and now it looks like they’re testing another new feature. 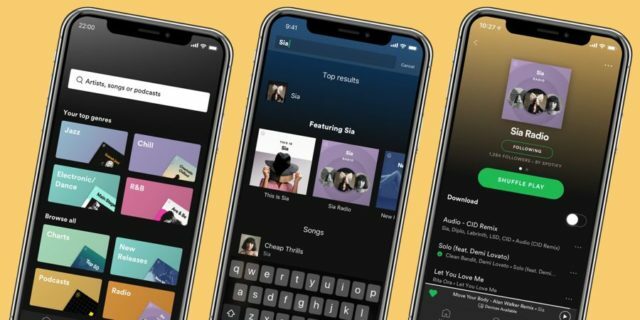 According to a report from The Verge, it seems that Spotify is testing a new feature that will provide users with a “What’s New” timeline. As the name implies, this is a feature that will provide users with a list of new releases, so if you thought that maybe highlighting new releases has been one of Spotify’s weaker points, hopefully this new feature will help solve that problem. This timeline feature will be similar to what users can expect from social media, where they can scroll to see what was released and when it was released. This saves users time from having to check out their favorite artists one by one to see if any new material has been made available and released on Spotify.